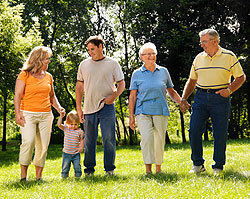 We at Columbus Circle Footcare believe that foot health is the foundation for an active healthy lifestyle. Let us help you take that first step. With over 25 years of experience, Dr. David B. Dixon has the skills to resolve your foot problems with compassion and innovation. He will eliminate your foot pain and restore function to help you regain that healthy lifestyle. We invite you to call our office or email us for an appointment. We look forward to meeting all of your podiatric needs. Our podiatry practice specializes in the diagnosis and treatment of all foot and ankle problems. With state-of-the-art methods of diagnosis and the latest advances in podiatric care we can resolve your foot pain, all in the comfort of a modern medical office overlooking a beautifully landscaped garden. Making a proper diagnosis is crucial before initiating treatment. In addition to taking a detailed history and thorough examination, Dr. Dixon may utilize digital x-rays and diagnostic ultrasound right in the office. MRI and CT scans are also available by referral to nearby Westside Radiology. With our diagnosis we can then provide effective treatment with sustainable results and speedy recovery. All care will be provided personally and professionally by Dr. Dixon. Lincoln Center, Lincoln Square , Midtown , Midtown West, Hell's Kitchen, Clinton and the surrounding area. © 2010 Columbus Circle Footcare and MedNet Technologies, Inc. All Rights Reserved.